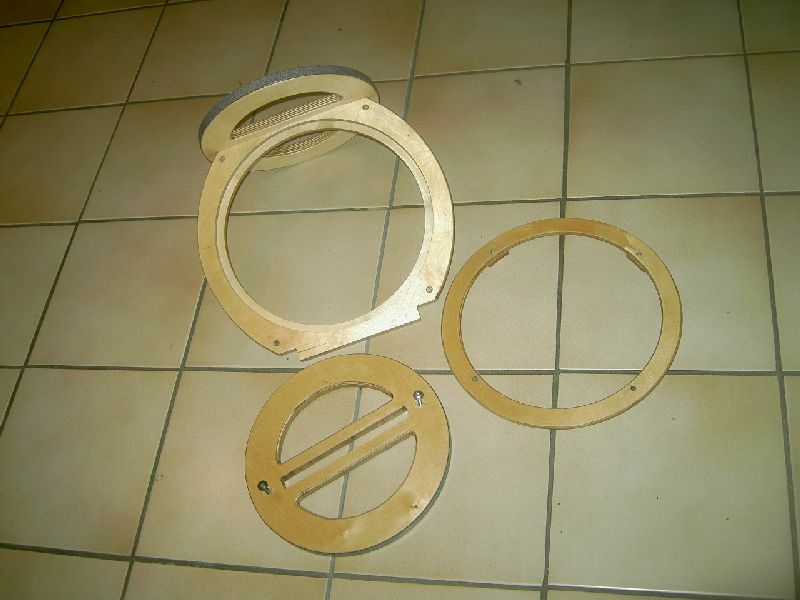 The middle ring consists of an outer part made from 18 mm plywood, having about 10 mm of the inner edge milled down to 9 mm thickness. 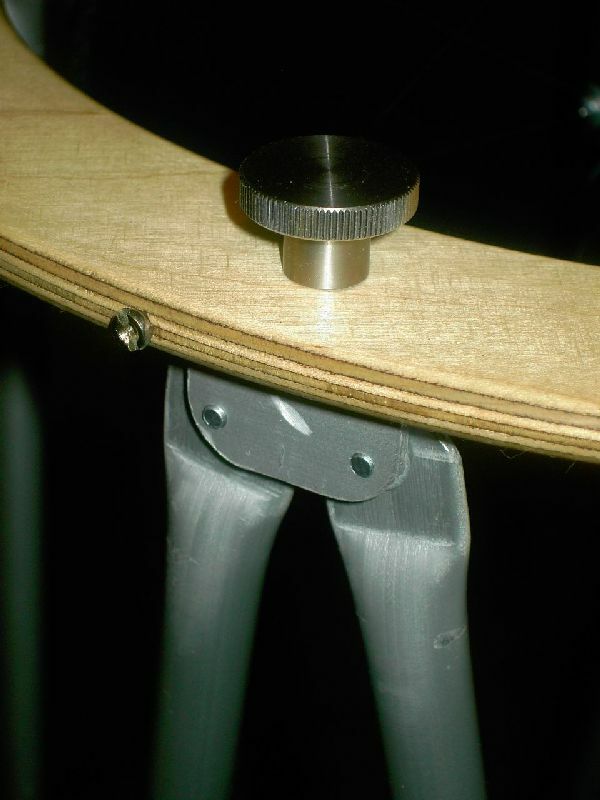 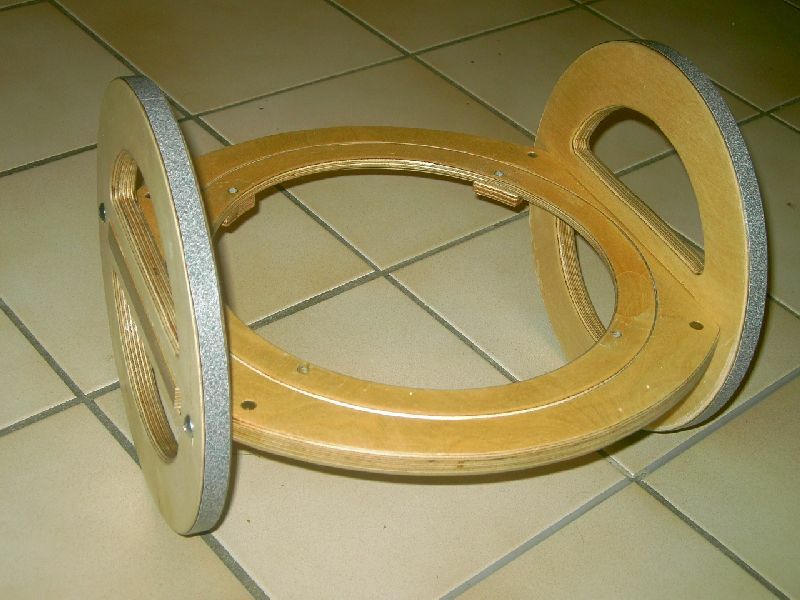 This part holds the altitude wheels and serves as the support for the inner ring the truss tubes attach to and which is made from 9 mm plywood. 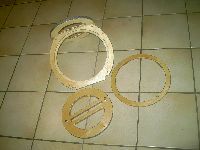 The inner ring and the whole OTA can revolve a full 360°. 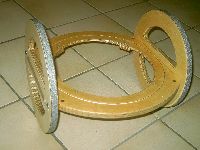 The bearing surfaces of the altitude wheels are covered with ebony star formica, which is now fairly readily available here (in Germany). 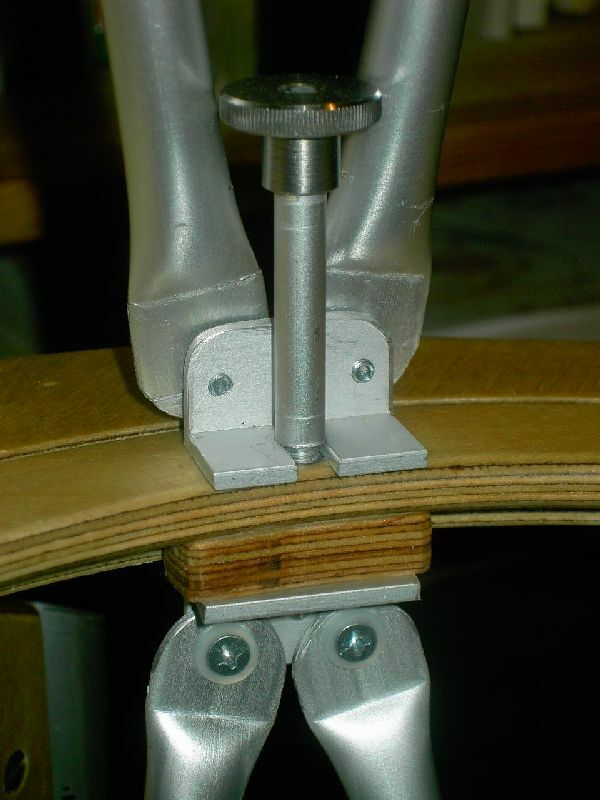 They connect via two M6 screws each, that screw into bolts that are inserted into the middle ring part. 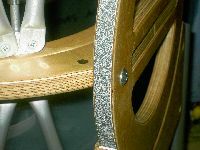 This kind of connection is often used in furniture construction and is quite rigid. The same kind of connection I also used for the rocker box. The truss tubes are permanently fixed to aluminium angles, which attach to the lower, upper and middle ring with the help of twelve M6 thumbscrews overall.